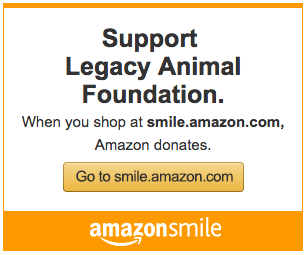 Partnering with Legacy Animal Foundation provides you with a unique opportunity to market your brand and products to a compassionate audience and further establish yourself as a community and philanthropic leader, all while helping to save the lives of animals. Legacy Animal Foundation is a volunteer organization. All money raised from the Legacy Awards will go towards medical expenses of animals in need. For more information on becoming a sponsor, email info@legacyanimalfoundation or submit a request form.